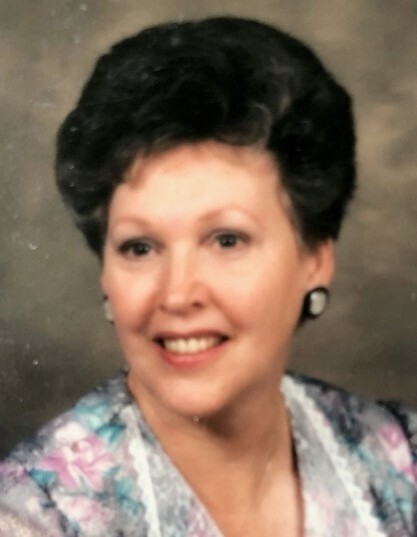 Obituary for Shirley Ann (Lynn) Snyder | James C. Stump Funeral Home Inc.
Shirley Ann Snyder, 82, of Mechanicsville, MD, formerly of Rostraver Twp., went home to be with the Lord on Friday, April 5, 2019. Born in Rostraver Twp. on July 19, 1936, she was the daughter of the late Caleb Z. and Mary Emma (Sethman) Lynn. Shirley was a homemaker most of her life who kept an immaculate house. Her family was her life. She was a member of Hughesville Baptist Church. She held a few secretarial positions with the Government and also worked with her daughter and husband in their business while helping to care for Sarah. She had a special place in her heart for “Dumplin”. She was loved dearly by her husband, he said she was an “angel”, he will never forget her and she was all he ever wanted. She was a perfect wife, a perfect Mother and a perfect person. She had a smile and laugh that was always “at the ready”. She was the sweetest and most pleasant woman, right up there with Grammy Lynn. We remember all of the fun times and laughter with the family at Grammy Lynn’s. She will be missed by her family as we spent every Holiday and Birthday together sharing a meal. She didn’t like to cook, but she sure loved to eat. Loved immensely by her children and grandchildren. Those memories will forever be cherished. She is survived by her husband, Edward D. Snyder; son, Mark Edward (Myda) Snyder; daughter, Lisa L. (Jack "Buddy") Williams; grandchildren, Sarah Lenae (Chris) Deinert, Nathan (Hannah) Snyder and Zachary Snyder; brother, Eugene "Sonny" (Isabelle) Lynn. Friends will be received on Thursday, April 11, 2019 from 1 to 2 p.m., the hour of service, in the Olive Branch Cemetery Chapel, State Route 981, Rostraver Twp, with Pastor Ken Sommerfeldt officiating. Interment will follow in Olive Branch Cemetery.